Schedules are overdue! Please add yours to the OPS School Libraries notebook or send it to Laura via email and she will upload it for you. Author funds for this year will be $1800 per school per year. One participant in the morning Curriculum Day session on Friday suggested we collect the responses to the questions posed regarding active participation. 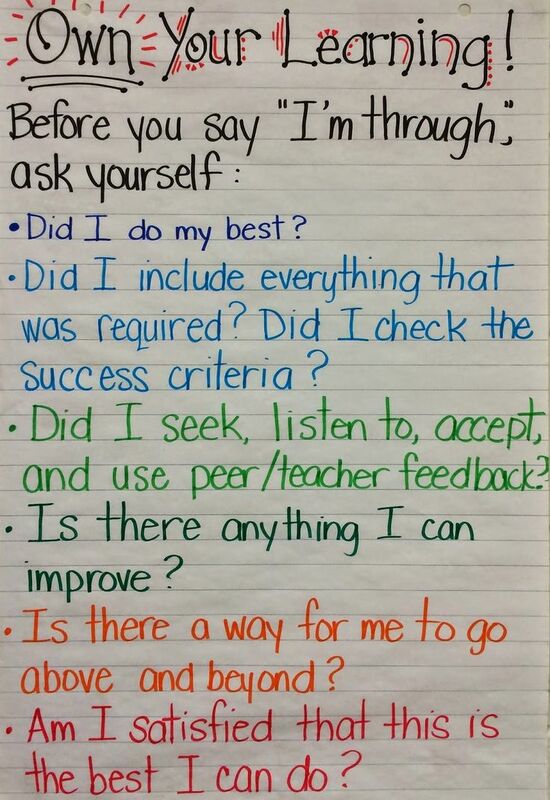 I collected the responses from the afternoon group. If you were in the morning group, please take a moment to answer this short response on Active Participation. I will compile all the responses and share the results in next week's newsletter. Thanks! We will be presenting information about the elementary inquiry projects at the EILN meeting on October 26th. We have asked if there can be a "must present by" date and have not heard back as of yet. We will keep you posted. Remember, the social studies lessons will be taught toward the end of 2nd quarter and the writing lessons will be taught during 3rd quarter. The lesson overviews give you two different levels of involvement for librarians. If you have questions about this, please let Courtney know. All 5th grade students should be logged into and using NoodleTools starting this year. If you were not present for curriculum day and need some instruction or would like a refresher on how to use the program, please let Courtney know. NoodleTools will be switching over to an Office 365 login process hopefully within the next month. As we get closer to the date, we will provide you with more information. Anyone who has a previous NoodleTools account will need to merge their "new" and "old" accounts the first time they login. We will have more info for you on that as well as we get closer to the switch over date. These are just a few examples illustrating how maker space learning has become integral to many school librarians’ roles. 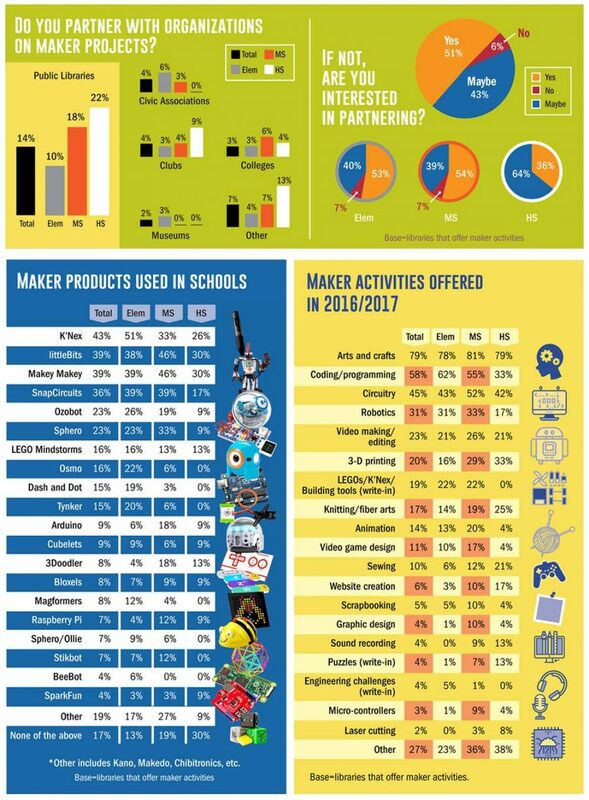 According to the results of this year’s School Library Journal School Maker Survey, librarians are involved in organizing maker activities in over 90 percent of the schools with maker programs. Library assistants are involved about 12 percent of the time. There is a ton of great information in the article. Be sure to click on the link below to learn more. School Psyched Podcast is hosted by three school psychologists who invite experts to share their insights on a range of topics, including evidence-based social and emotional learning, gifted students, legal considerations, and more-controversial issues, such as racial representation in special education. The episodes are an archive of video chats hosted on YouTube Live. The live video chats will occur on the first and third Sundays of the month, starting in September 2017. The hosts will take questions and comments via YouTube Live, Facebook, and Twitter (#psychedpodcast). Professional Book Nerds Podcast. We're not just book nerds. We're professional book nerds! We are staff librarians who work at OverDrive. It's our job to discuss books all day long so we thought, "Why not share the conversation!" Hear about the best books we've read, get recommendations, and learn about the hottest books coming out that we can't wait to dive into AND author interviews. What’s wrong with “just right” books? The move toward leveled or “just right” books stems from research showing that children’s reading comprehension improves when they read texts at—or slightly above—their reading level. What that level is, how it’s determined, and how reading instruction is implemented varies from school to school, district to district, and state to state. Two of the most common methods for leveling books are Lexile and the “A to Z” gradient found in Fountas and Pinnell’s Guided Reading system. “Research says that students should spend most of their time in ‘just right’ or ‘at their level’ books, but that research does not say to limit students and what they would like to read,” says Pernille Ripp, creator of the Global Read Aloud and author of Passionate Learners: How to Engage and Empower Your Students (Routledge, 2015). Click on the link below to read the entire article.